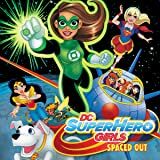 From the critically acclaimed author Shea Fontana, DC SUPER HERO GIRLS: SUMMER OLYMPUS continues the hit original graphic novel line! Super Hero High is out for summer in the newest original graphic novel featuring your favorite superheroes. 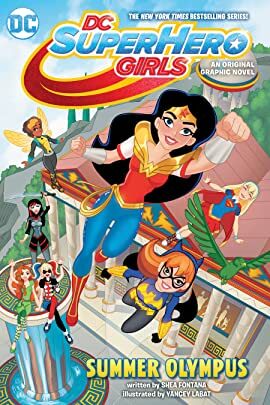 It's summertime, which means Wonder Woman has to take her annual trip to visit her dad, Zeus, and this time she's bringing a few of her super-friends along. 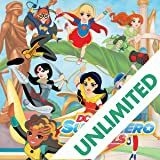 When the girls arrive at Olympus, it's not long before the family reunion devolves into a family competition and the gods offer Wonder Woman the ability to become "full goddess" to increase her powers, but at the cost of renouncing her life at Super Hero High. Will Wonder Woman refuse the offer? And if she does, might this mean war on Super Hero High? 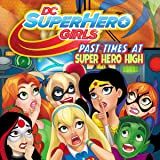 DC SUPER HERO GIRLS: SUMMER OLYMPUS continues to develop the relationships forged in DC SUPER HERO GIRLS: FINALS CRISIS and HITS AND MYTHS, written by Shea Fontana and developed for children ages 6-12. 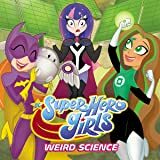 DC Super Hero Girls features DC Comics' most powerful and diverse lineup of female characters as relatable teens, playing out across multiple entertainment content platforms and product categories to create an immersive world. 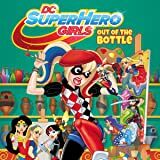 Icons including Wonder Woman, Supergirl, Batgirl, Harley Quinn, Bumblebee, Poison Ivy, Katana and many more make their unprecedented teenage introduction, as each character has her own storyline that explores what teen life is like as a superhero.